I am giving you ample warning. 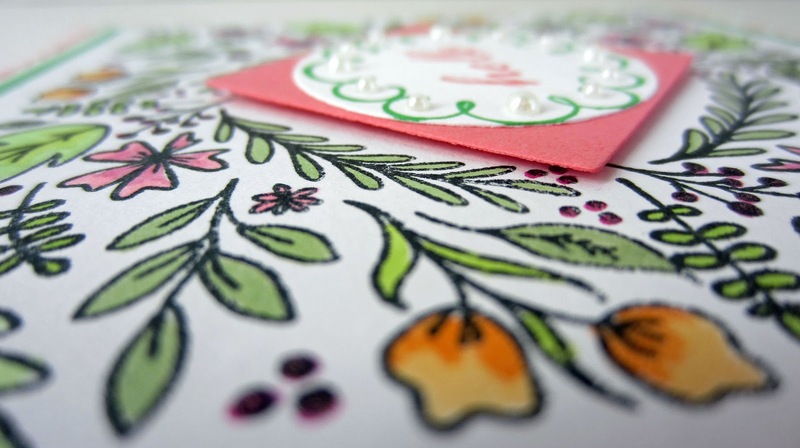 You are going to be overwhelmed with cheeriness in this post. There, you've been warned! The most recent Paper Pumpkin kit was, as always, adorable. While I loved the projects themselves, I loved the STAMPS that accompanied the kit even more. I am going to be getting a ton of use from these cuties! 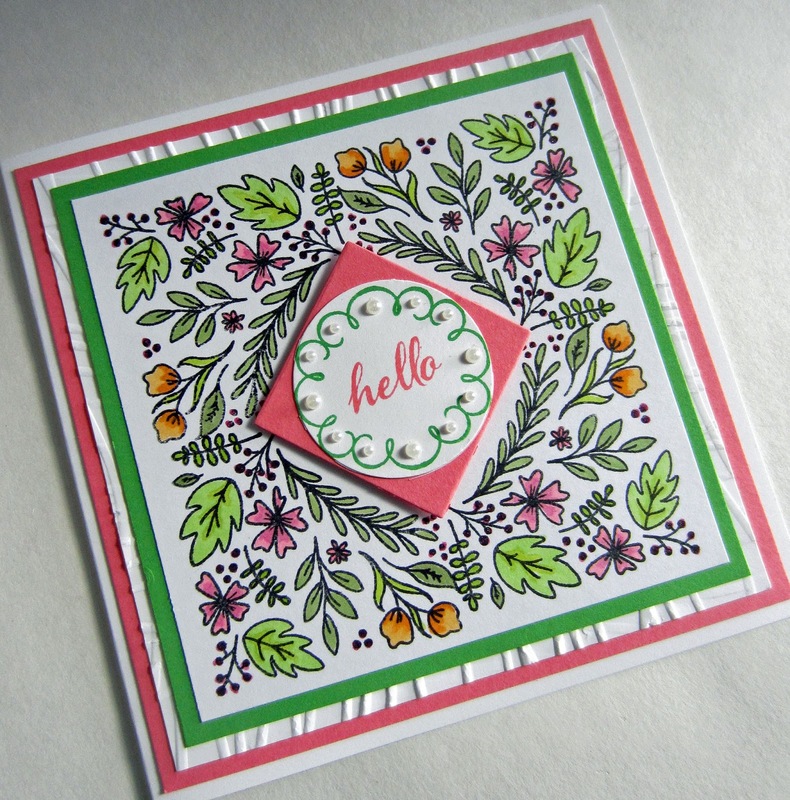 Using only one of the stamps from the kit -- and nothing else -- I went ahead and created this card, the epitome of cheeriness. Don't you agree? 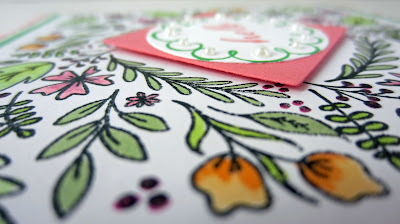 The stamp I chose to use is a corner stamp that features a plethora of darling line art flowers. 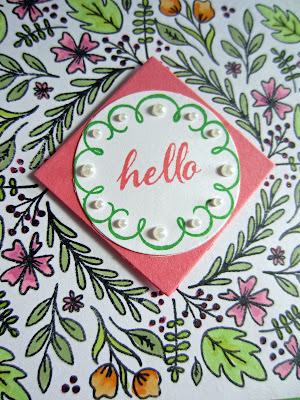 If you use the stamp in each of the four corners of a square card, you are left with a precious, precise flower frame. That screams out, "COLOR ME!" 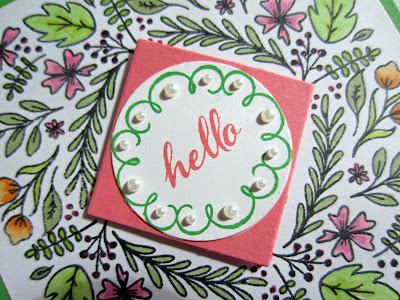 Stamping it onto a 4" square piece of Whisper White cardstock, and being precise in your placement of the stamp -- which is super easy with the photopolymer stamps! 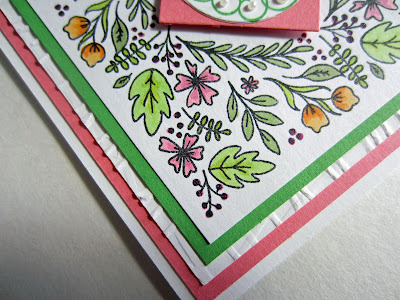 -- leaves you with a perfect white border around your stamped frame. I colored the flowers with my Copic Markers, something I don't use nearly often enough. 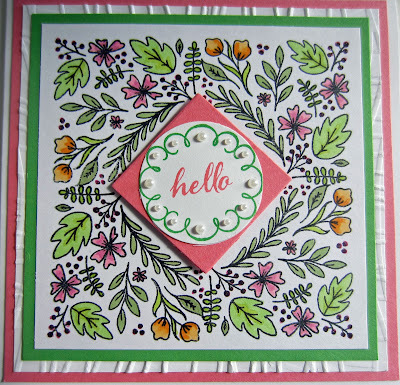 When the coloring was finished, I had a frame with a sort of wonky rounded square white space in the center. Of course, it needed to be filled with the sentiment. That was a given. But the space was a little weird, in that it seemed squarish, but roundish. So I opted for the best of both worlds. Mounting a solid square that fit just within the four laurel branches, followed by the sentiment stamped on a circle that just sat so nicely within the limits of the square . . . YES!! 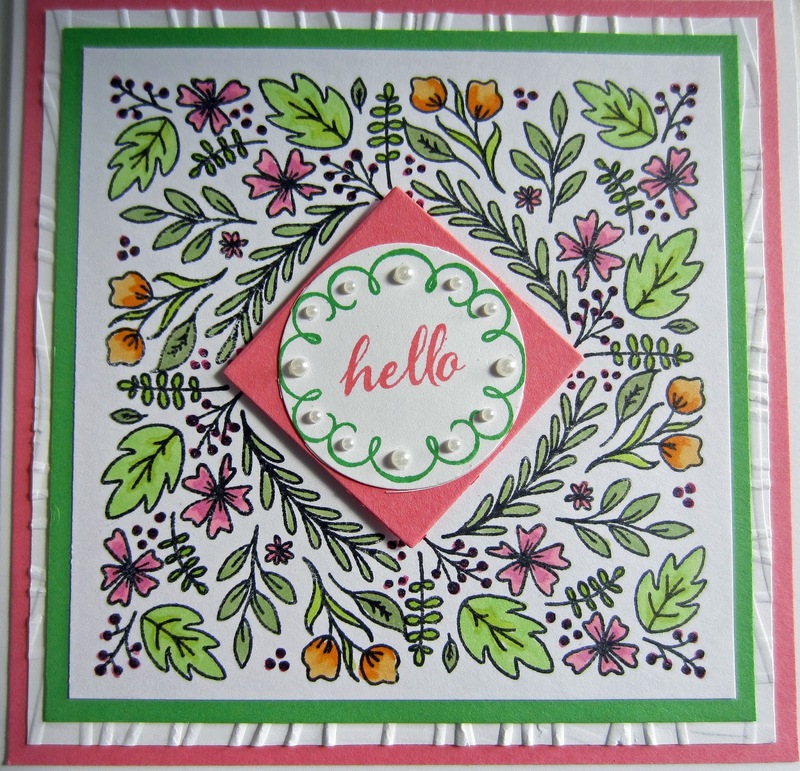 The "hello" and the looped green border were both stamps from previous Paper Pumpkin kits. I just love having them to go back and use time after time. Maybe it's an optical illusion, but with the round/square mounted in the center, doesn't it almost seem that the four laurel branches rise up to meet the sentiment? Weird way of describing it, but do you see at all what I mean? For the embossed edges of the center white piece, I ran the 4 1/2" square of Whisper White through the Seaside embossing folder first in one direction, then again in the opposite direction. I love that, by doing this, it seems to be a completely different embossing folder, with all the lines running outwardly towards the edges. 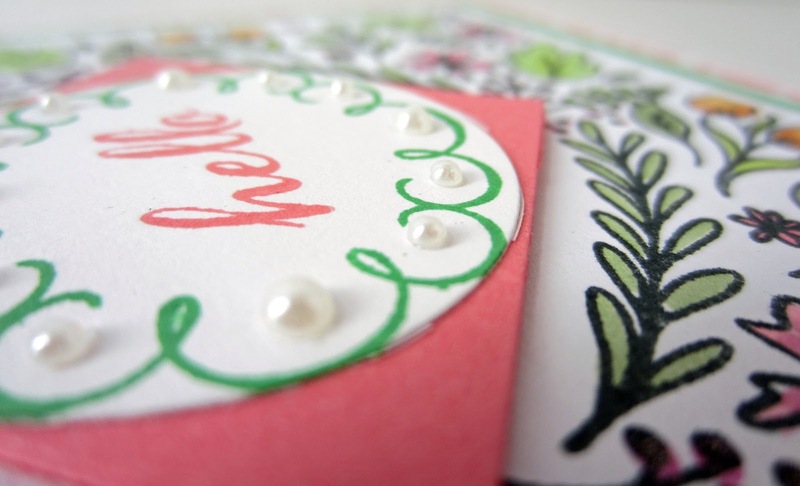 The little green loops surrounding the sentiment seemed to be calling for me to add Basic Pearls, so I obeyed, and I'm happy that I did. 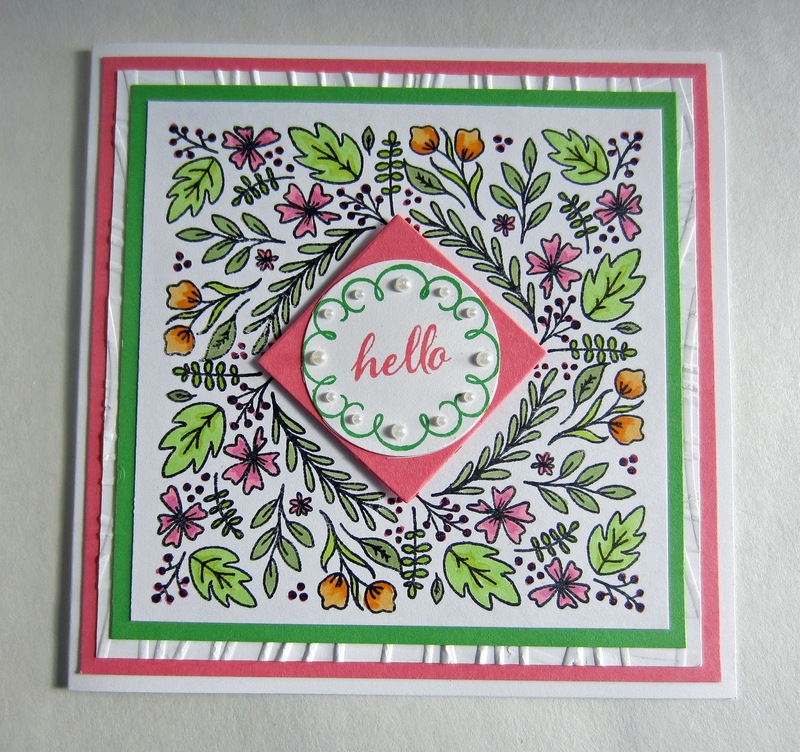 Not so much dimension involved in this card, but isn't it just so CHEERY?? More cheeriness overload, I know. Please forgive me. Those pearls are just so happy! 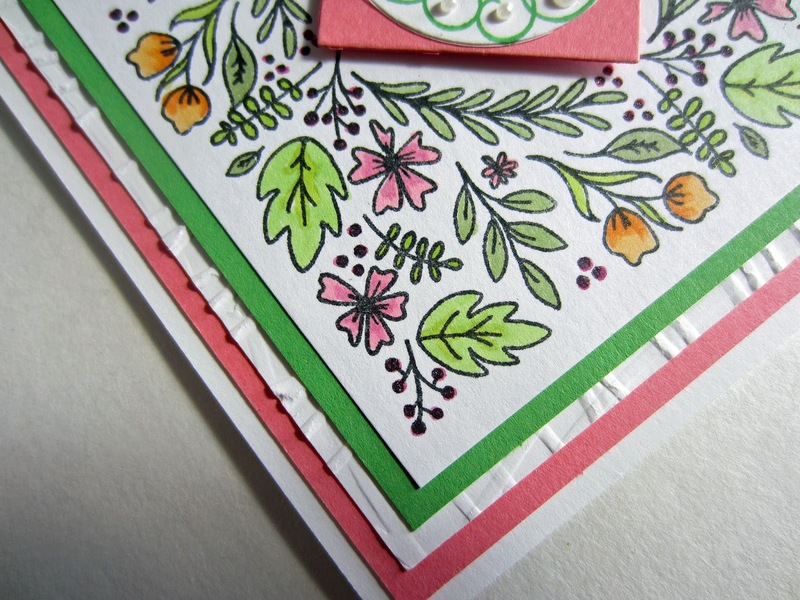 Does this card just make you feel cheered up? I hope so, because that was my intent! 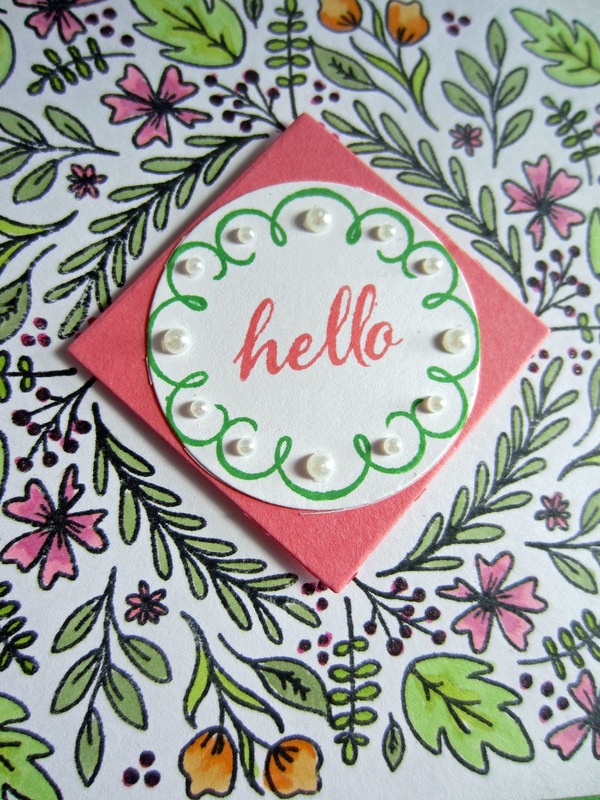 Have a CHEERY Sunday! '... it seemed squarish, but roundish.' that's my kinda speak. I totally get what you mean. I'm so glad it all come together in the end to look amazing. It is so pretty! 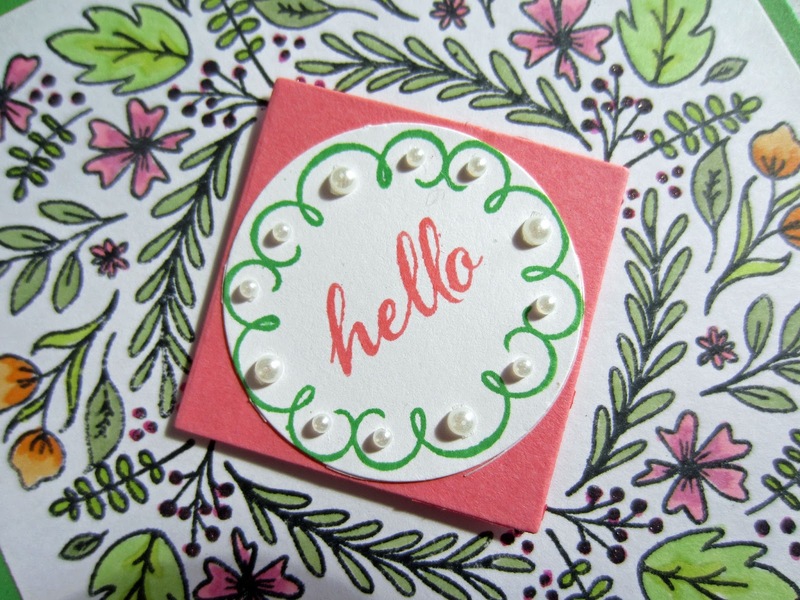 I am not so creative but I do need to start at least sending people cards more often! 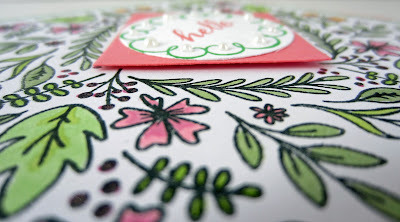 I would love for you to come join my weekly link up On the Edge of the Week. It goes live every Thursday at 5:00 p.m. EST and remains open for one week. I hope to see you there! Have a fantastic week! 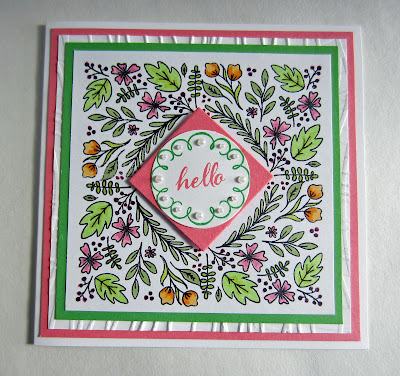 What a gorgeous card you made! !